VEB Pentacon Dresden was an East German camera maker formed as VEB Kamera- und Kinowerke Dresden in 1959 by amalgation of VEB Kinowerke Dresden (former East German Zeiss Ikon) , Kamera Werke, Belca, Altissa, Welta, and cine film specialist Aspecta. In 1964 it was named Pentacon. Originally Pentacon was the export model name for the Contax D, since the use of the name Contax had been prohibited for the East German company VEB Zeiss Ikon. The new name had been coined from Pentaprism and Contax. The company produced its own shutters. Known is the Pentacon-Prestor leaf shutter. In 1968 VEB Pentacon Dresden became Kombinat VEB Pentacon Dresden, being merged with Mentor, Certo, Ihagee, Meyer, the camera industry of Freital and further specialized companies, thus becoming a group comprising nearly the whole East-German photography-related industry except film maker Orwo. Then the SLR production of VEB Pentacon essentially concentrated on the Praktica SLRs, but also comprised the Pentina, the Exa Ic and the Exakta 66. On January 1, 1985 the Kombinat VEB Pentacon was incorporated into the Kombinat VEB Carl Zeiss Jena. 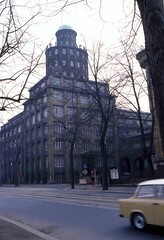 The Kombinat VEB Pentacon was divided in three parts now (VEB Pentacon Dresden, VEB Feinoptisches Werk Görlitz and VEB Kamerafabrik Freital) working as independent companies under the central management in Jena. It was planned together with the incorporation, research and development and technical potential of the former Kombinat VEB Pentacon would be temporarily reduced to 60% by 1986 and these resources would be exclusively devoted to military production; film development machines and laboratory equipment for big laboratories would be produced in expense of the SLR production; SLR production would be reduced to 300 000 per year, export to non-socialist countries would be reduced to 50% of the production (from 77% in 1984), while export to Eastern Block countries and inland deliveries would be raised. SLR production in Dresden was rapidly decreasing from 1987 on, what was caused by greater amount of labour necessary for assembling cameras of the Praktica B and BX series, as well as by preparations for incoming military production. After the end of the Soviet bloc and just before German Reunification Pentacon was placed into the hands of the "Treuhand", a state-owned company charged with privatizing all the state-owned companies of East Germany. However, led by West-German business people, the Treuhand simply closed many companies. 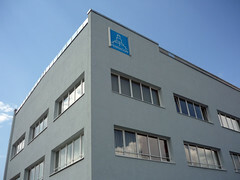 The first big hit against the East German economy was taken by the Pentacon group. On 2nd October 1990, one day before Reunification, Pentacon's liquidation began. The final day of production was June 30th 1991. The company still had 3331 employees. The next day it had just 232 who had to finish liquidation. The only investor who had been interested in saving Pentacon was Heinrich Mandermann, the man who once had saved the lens maker Schneider-Kreuznach and who also was the co-founder of the camera trader Beroflex. 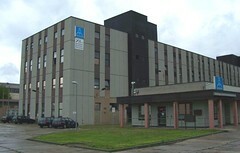 But he waited until after liquidation to buy parts of the company from the Treuhand - thus getting them cheaper, including one of the modern Pentacon buildings which once served for military production. 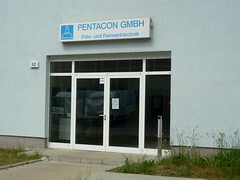 This part of Pentacon, now the new Pentacon GmbH, is still located in Dresden, and includes a service office for older cameras, camera production being outsourced to South Korea. The camera and lens brands represented by the new Pentacon are Praktica, Exakta, and Schneider Dresden, the enterprise employing about 150. Among its own products are amazing scanner cameras. As of 30th June 2015 the Pentacon GmbH ceased the business with Praktica photo products. Earlier than Pentacon, see KW. The new Pentacon continued production of the Praktica BMS until 1992, Practica Bx20 until 1993, and Praktica Bx20S until 2001. Since then it just produces digital SLR scanner cameras. The SLRs are the factory's own products whilst point-and-shoot cameras and compact cameras are OEM products which are just badged "Praktica". This page was last edited on 27 November 2017, at 06:31.